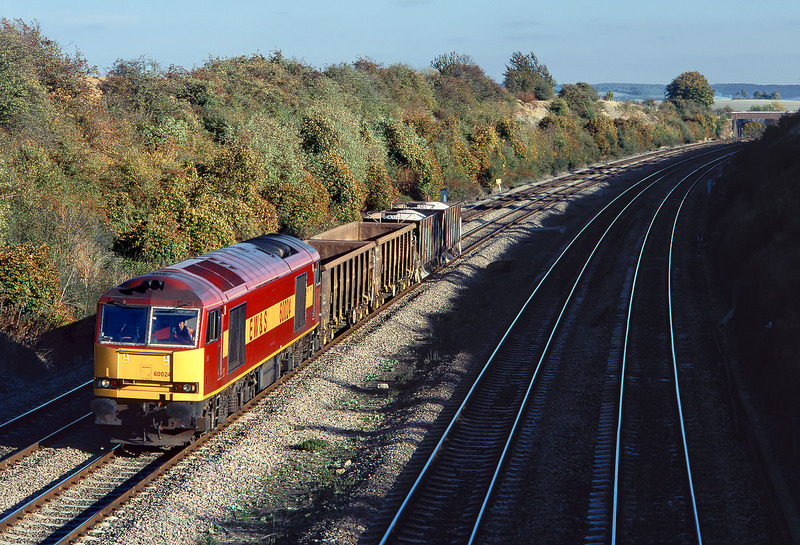 A ridiculously easy load for 60024 at South Moreton on 9 October 2003. Two empty and two full wagons constitutes the entire load for the 7V27 14:51 Eastleigh to Didcot departmental working. Not much chance of a picture of anything on the fast lines at this time of year!